Anyone who has ever been in love is well aware of the blissful emotions that are experienced with finding someone who seems perfect. Many people experience butterflies and constantly think about the one they love. Unfortunately, love is blind and can make many people oblivious to red flags or warning signs that are present. To protect yourself in your romantic relationship, there are a few signs that your sweet partner will end up breaking your heart. 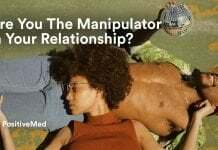 You may be too in love to notice your partner’s wandering eye when it comes to seeing other men or women, but this can eventually cause them to cheat and stray from your relationship. If you notice that your significant other is overly friendly with the opposite gender, it can mean that they won’t be faithful in the future. Your partner may be the apple of your eye but can be a bad listener when you have something to say. Whether you’re expressing your feelings about the relationship or are discussing your dreams, you may find that your significant other seems distracted or not interested as you speak. Although it may not seem like a big deal, this can mean that your partner doesn’t care for you as much as you may care for them. As time passes, you may feel ignored or neglected in the relationship. The other person may also not take an interest in your life. If someone is truly interested in who you are, they’ll ask questions about your past and will do their best to continue to learn more about you. This will cause them to steward the relationship and protect you instead of hurting you due to a lack of interest. According to DailyMail.com, you may be dating an emotional manipulator if you’re in a relationship with someone who blames you for their bad behavior. They may have a habit of lashing out or getting angry easily but will justify their behavior due to your actions. This can make it challenging to have a healthy relationship with someone who has strong communications skills and is capable of apologizing. You may end up hurt and wounded if you don’t have enough confidence to walk away from the relationship. Many people make the mistake of getting into a relationship where the other individual is controlling. 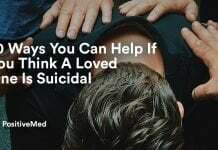 According to HuffingtonPost.com, your partner may attempt to keep you away from certain family members or friends who are in your life. They may also want to know about your whereabouts at all times or have a lack of trust. Controlling behavior also looks like giving you the silent treatment for several hours or even threatening you just to get their way. Their past behavior is what will dictate how they act in the future, which is an indicator that you’ll end up hurt. You may notice that your partner avoids hugging or touching you on a daily basis, which can lead to a lack of !ntimacy. This may not seem like a deal breaker but can eventually cause strain and distance in the relationship if you lack a physical connection. By remaining aware of common signs that your partner may hurt you, it can allow you to protect yourself and remain guarded. 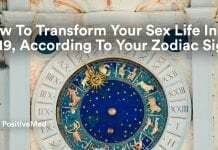 This will help you to make better decisions in the relationship without being blinded by your love. You’ll not only be able to move on, but can prevent emotional damage from occurring during the process.